Peripheral Nerve Compression Frequent Questions | Parker Foot and Ankle How to Treat Pinched Nerve in Foot? 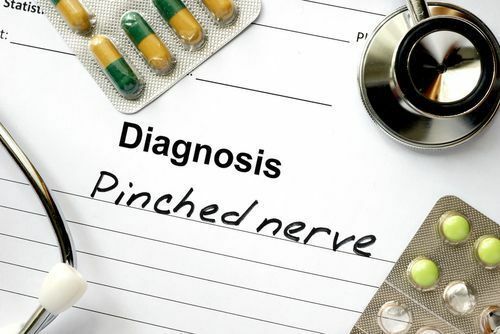 To figure out how to treat a pinched nerve in your foot, we need to first find out exactly which nerve is involved and what is pressing against it. In your feet and ankles, common sites for nerve compression are between the bones in the ball of your foot and at the inside or outside of your ankle bones where nerves run from the calf to the foot. Treating a pinched nerve starts conservatively with the simplest treatment of all—resting from activity. Massage and icing the affected area at certain intervals is also helpful. It is also a good idea to lose extra weight that is increasing pressure on your feet, and cutting sugar from your diet will help to reduce the inflammatory elements that irritate your nerves. If pain continues other treatment options are available. A technique called neurogliding can help the nerves “glide in their respective tunnels.” and standard physical therapy can strengthen muscles to better support your foot structure and keep pressure off the nerve tissue. We may also recommend certain therapeutic nerve injections as pain relievers. Bracing, orthotics, and shoe modifications can help the nerves heal as well. As a final option, new surgical procedures are available which are designed to decompress, release, or remove or alter the fibrous tissue that is pressing on the nerve. As the 2013 President and advanced surgical faculty member of the Association for Extremity Nerve Surgeons, Dr. Parker is one of the nation’s leading experts in surgical nerve decompression techniques. Call our office at (281) 497-2850 or send a message through our contact form to schedule your appointment today.